OceanConnect Marine (OCM) today announced the hire of a new IMO2020-focused Global Technical Sales Director to support clients on the upcoming global 0.50% sulfur cap. 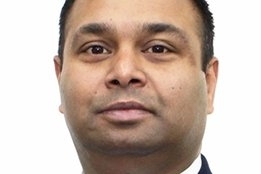 Kumar Balian will oversee technical sales, help clients with 2020 queries, and manage the company’s claims management, says OCM. “Kumar’s deep technical knowledge will help clients as they decide how best to comply with new bunker fuel requirements, or fulfill any complex fuel needs,” said OCM Global Managing Director S.I. Shim. Balian joins with some 24 years of oil and gas industry experience and was most recently Director of Global HSSE & Operations at World Fuel Services. He will be based in OCM’s London office and will also be involved with their physical operations. “Customers need support as they face an uncertain future. My role at OceanConnect Marine will be to listen and provide the support they need,” Balian said.